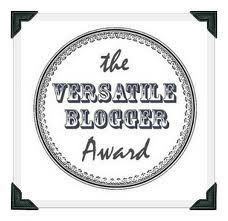 Nominated for The Super Sweet Blogger Award & Dragon Loyalty Award!!!!! Yesterday I begged my computer to open and the internet to work and wow I found two awards waiting for me!! The Super Sweet Blogger Award and the Dragon Loyalty Award! I’m speechless I really hope people enjoy reading this blog but to get awarded for it is…wow I just never really imagined. Thank you Shane for nominating me for the Super Sweet Blogger Award 🙂 and Thank you to Patty for the Dragon Loyalty Award they both have been great friends on WordPress and I’m glad I had the chance to meet such wonderful, experienced people that I can call friends now! Ok so the first award is the Sweets blogger Award! When do you crave sweet things the most? every minute of every day. Sweet Nick Name? uhhh my nickname is cricket…..I guess you can dip that in chocolate? All Of these bloggers have Contributed to my growth as a person and as a blogger and I love all their blogs and read each and every one of them! I really Love this Award Because I’m a Dragon and I love Dragons I think they are the most fascinating creatures to have been on Earth ( I think they’re real!) Thank you Patty for this award I really love it!!!! -Display the Award Certificate on your website. -Announce your win with a written post and link to whoever presented your award. -Present the award to 7 deserving bloggers. -Drop them a comment to tip them off after you have liked them in the post. -Post 7 interesting things about yourself. -If you don’t have a blog but have a website, Facebook, or Twitter or other type account, post there with a link back. I have never dyed my hair! Thank you to all my followers and friends and who ever likes my poetry if it weren’t for you I wouldn’t have the courage to write!!! !